A beam of light may one day be the solution to an overactive bladder or urinary incontinence. 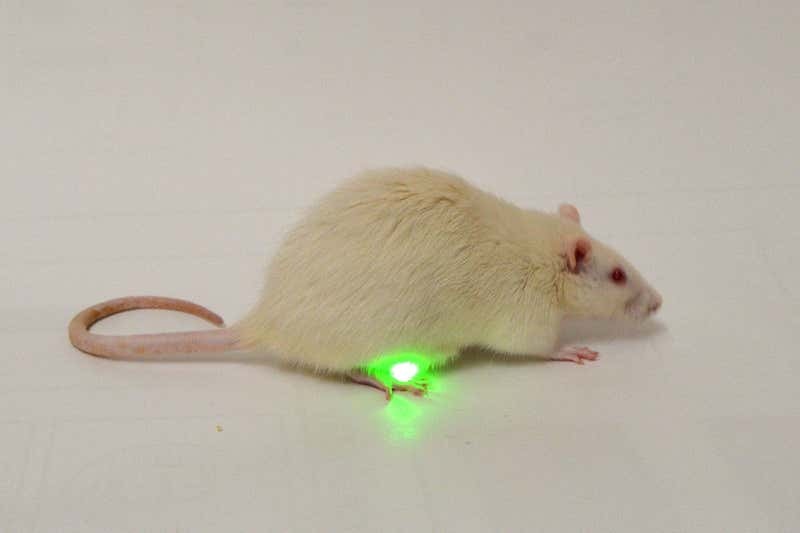 An implant that uses LED lights to stimulate nerves has been found to restore bladder control in rats. People with bladder dysfunction experience frequent and uncontrollable urges to urinate before their bladder is full. The condition is caused by hyperactive signalling between the brain and the bladder. 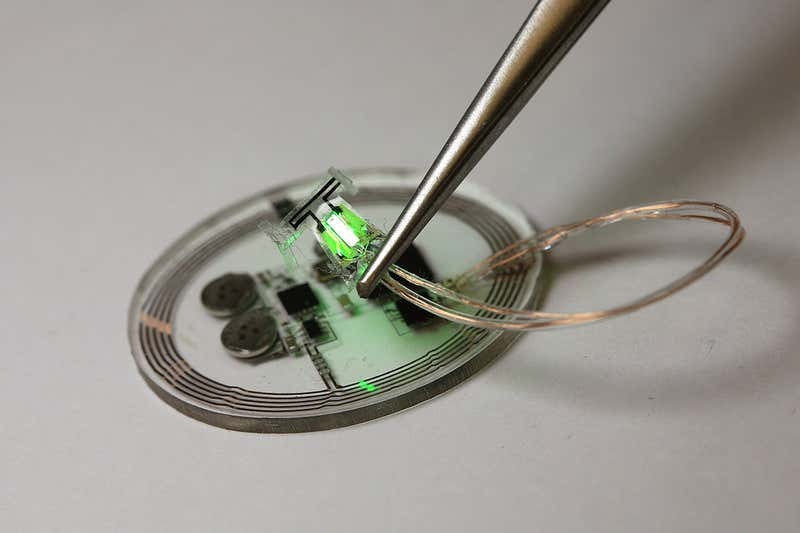 Several medical devices have been developed that stop this miscommunication by applying a weak electric current to parts of the nervous system involved in brain-bladder signalling. However, these devices can be unwieldy, as they require battery boxes outside the body, and don’t exclusively stimulate bladder nerves. Now Robert Gereau at Washington University in St Louis and his colleagues have developed a fully implantable device that specifically stimulates bladder nerves. The device has three main parts: two green LED lights, a metal ring that wraps around the bladder, and a thin control center. No external battery pack is required, as the device includes a small battery that can charge wirelessly. When the device was implanted in rats with bladder dysfunction, the metal ring measured changes in bladder size. When it detected that a rat was urinating more than two times an hour, the LED lights switched on. These rats had previously received gene therapy, enabling their nerve cells involved in bladder-brain signalling to make a light-sensitive protein. When the LEDs were switched on, their light activated this protein, which in turn blocked urination signals from the bladder from reaching the brain. Over the seven-day experiment, this led to a significant decrease in urination frequency in the rats, with bladder control appearing to return to normal levels. “Bladder function is quite similar between rat and human” Gereau says. But before the device can be developed for possible human use, some modifications will be required. Because the human bladder is thicker, red lights which penetrate further into tissue may be needed instead, he says.